Steiner is the world leader in marine optics and the Commander Series have always represented the ultimate binocular. Elite military units and professional sailor and anglers worldwide rely on superior image quality and incredible reliability of the Steiner Commander. 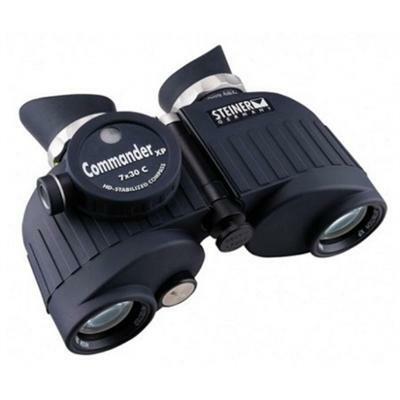 This new 7x30 Commander XP is the world's best marine binocular in compact form. Steiner has bundled all the technology and performance of the Commander XP 7x50 into the smaller format. Easy to use and easy to stow, this new marine binocular is ideal for demanding sailors or anglers who desire a more compact set of optics. The HD-Stabilized compass system with precise ranging reticle is also illuminated for night use. Click the button below to add the Steiner 7x30 Commander XP C to your wish list.